Delivering British quality & value to your door for over 50 years! 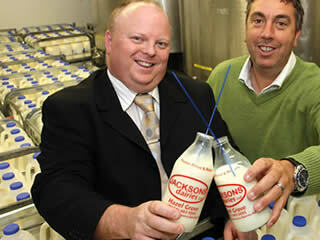 From our dairy to your door! We supply the best quality fresh milk from our dairy in beautiful Cheshire to homes and businesses across the North West. Whatever your needs, from a single bottle to a tanker full we always supply the finest quality milk you can buy. Delivering milk & groceries, whatever the weather! More and more people are enjoying the convenience of doorstep delivery and who better than Jackson’s Dairies to bring your produce fresh to your fridge. Not only can we assure you of the highest quality and care, but we can also tell you where your milk has come from and the process it has been through before reaching your table. Here at Jackson’s Dairies we pride ourselves on making every conceivable effort to reduce our carbon footprint; actively encouraging recycling and using alternative environmentally-friendly packaging. And our commitment to you also remains. For ease and security, we now accept payment by telephone using all major credit and debit cards, as well as offering the Direct Debit facility. We don’t just sell milk – click here to see our full range of dairy produce. 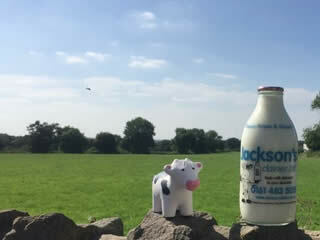 Jackson’s Dairy is located in beautiful Cheshire countryside. 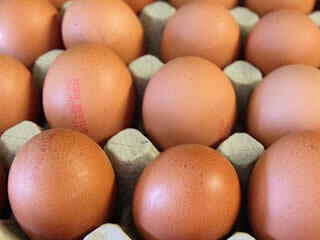 Local Produce - Eggs Etc. Dairy - Cheese, Yoghurt Etc.